Whether you need a grab hire service for large amounts of waste for domestic or commercial, Grabloader provides a first class service from start to finish. Our 8 wheeler grab truck can carry approx 3 six yard skips. We can also take smaller, part loads that would be approx to 1 six yard skip. This is so that we can accommodate for most of our customers’ grab hire requirements – You only pay for what we take away! Grabloader is Basingstoke’s premier grab hire and recycled aggregates company, with over 20 years experience and provide the finest in Top Soil, Crushed Concrete and Aggregates. Our team are on hand to give you an efficient and cost-effective service. 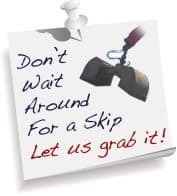 Our grab trucks can load and take away your excavated materials in under 30 minutes, meaning that you don’t have to worry about waiting around for your skip to be collected again. Our dedicated office staff are on hand to help you with all your grab hire related questions and enquiries. As well as muck away and grab hire services for waste removal, we also supply a wide range of recycled aggregates provided by the tonne by the agg bag or by the load. The team at Grabloader are also pleased to offer quality BS 3882 topsoil, produced locally at our recycling centre, Moores Farm and can it be delivered throughout Basingstoke. Our topsoil is screened either to 10mm or 20mm and is also available in B grade, which is ideally suited to filling large areas. As well as top quality topsoil, we also offer a peat free soil conditioner that is ideal for flower beds and allotments. Our topsoil is available loose by the tonne, or by the bag. For expert advice, quotations or to arrange a centre visit, simply call the helpful and friendly Grabloader team via 01256 689 070 or send us a message from our online contact form.